$ 4.59 + $ 3.19 media shipping. International shipping available. $ 5.09 + $ 3.19 media shipping. International shipping available. $ 4.50 + $ 3.19 media shipping. International shippig available. $ 4.69 + $ 3.19 media shipping. $ 9.39 + $ 3.49 media shipping. $ 4.39 + $ 3.29 media shipping. International shipping available. $ 5.69 + $ 3.29 media shipping. Priority & International shipping can be arranged - email us. $ 3.59 + $ 3.09 media shipping. International shipping available. $ 7.59 + $ 3.19 media shipping. International shipping by arrangement - please email us. $ 5.59 + $ 3.39 media shipping. International shipping by arrangement - please email us. $ 4.79 + $ 3.19 media shipping. by Stewart Ross. Excellent color illustrations by Inklink and Richard Bronson. $ 6.79 + $ 3.39 media shipping. International shipping by arrangement - email us. $ 15.89 + $ 3.39 media shipping. International shipping by arrangement only - email us. $ 5.50 + $ 3.09 media shipping. International shipping available. $ 8.50 + $ 3.59 media shipping. International shipping available. $ 3.89 + $ 3.19 media shipping. International shipping by arrangement - email us. by Kelly Trumble. Color illustrations by Laszlo Kubinyi. Condition: Very good gently pre-read 1998 Scholastic softcover first printing. Small edgewear with light rubbing bottom front cover at hinge. Interior perfect. Content: Trumble explains and elaborates on a fact that most children's books just make mention of: Egyptians worshipped cats and mummified them using the same techniques they used to preserve their pharaohs. Extensive research is evident in the many original sources quoted and the lengthy bibliography. What emerges from this volume is a fascinating legend of how the Egyptians' devotion to the sacred animals became fanatical?people would rescue their felines from burning buildings and let their belongings go up in smoke?and eventually led to their downfall. In 525 B.C., the Persians shrewdly released cats onto the battlefield; the Egyptians were so confused by trying to avoid killing the whiskered deities that they lost the war. Kubinyi's soft-focus watercolors work well to explain and break up the text. 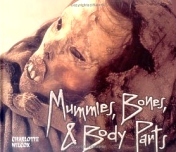 Footnotes, a chronology, a glossary, and a list of museums with cat mummies all reiterate the author's thoroughness in researching her topic. Recommended for 8 - 12 year-olds, but adults will love this book, too. 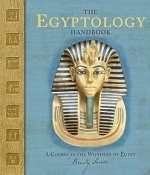 Wonderful information; detailed illustrations. $ 2.69 + $ 3.09 media shipping. Priority & International shipping available. $ 4.29 + $ 3.09 media shipping. International shipping available. $ 6.29 + $ 3.29 media shipping. International shipping by arrangement - email us. $ 5.29 + $ 3.39 media shipping. International shipping by arrangement - email us. $ 6.59 + $ 3.39 media shipping. $ 12.49 + $ 3.29 media shipping. International shipping available. $ 6.39 + $ 3.19 media shipping. International shipping available. $ 5.69 + $ 3.29 media shipping. International shipping available. $ 4.69 + $ 3.19 media shipping. International shipping available. $ 4.69 + $ 3.39 media shipping. $ 3.09 + $ 3.09 media shipping..
$ 5.39 + $ 3.19 media shipping. International shipping available. $ 5.59 + $ 3.29 media shipping. .
$ 8.59 + $ 3.29 media shipping. .
$ 9.89 + $ 3.29 media shipping. International shipping by arrangement. $ 7.89 + $ 3.29 media shipping. International shipping by arrangement - email us. $ 4.89 + $ 3.19 media shipping. International shipping available. $ 5.59 + $ 3.09 media shipping. International shipping available. $ 4.49 + $ 3.29 media shipping. International shipping available. $ 10.00 + $ 3.49 media shipping. International shipping available upon arrangement - email us for details. $ 8.50 + $ 3.29 media shipping. International shipping available. by Melvin Berger & Gilda Berger. Spectacular color photos. Condition: NEW 2001 National Geographic Society large hardcover (pictorial boards - 11.3 x 9.3 x 0.5 I (64 pages) & Dust Jacket (in mylar jacket). 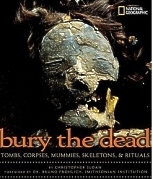 Content: Stunning photographs and clear, compelling text introduce the burial area of the Egyptian rulers. 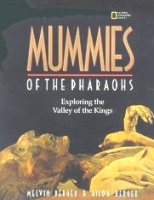 Beginning with the thrilling discovery of King Tut's tomb, relayed in detailed anecdotes that convey the time-consuming complexity of an archeological dig, the book continues through other valley finds, introducing a few of the major rulers and their relationships, as well as speculation on the political scandals that surrounded some burials. Particularly notable are the finely reproduced photos of gleaming artifacts and the archival shots from the digs themselves. Most terms are defined in text, although a glossary would have been a useful addition. 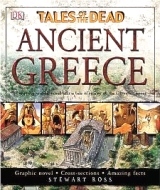 Well-marked maps, time lines, and illustrations depicting the imagined daily life of the tomb builders round out a fascinating historical resource that kids will read straight through for pleasure and also find useful for report writing. 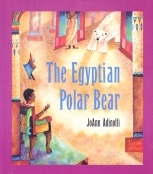 Exception children's book for ages 9 - 12, but adults will enjoy the book as well. Wonderful way to get kids interested in history and archaeology. $ 8.00 + $ 3.19 media shipping. $ 10.00 + $ 3.19 first class shipping. $ 7.19 + $ 3.29 media shipping. $ 5.19 + $ 3.29 media shipping. $ 4.29 + $ 3.19 media shipping. International shipping available. art by LeliaDraws. Condition: NEW package of 12 bookplates made by pacaritambo books. The peel-off label stock is heavier than most bookplate materials and is matte and not glossy. They are as perfect as possible, and we feel the subject matter is much different than you can get anywhere else. 2.5 wide x 4.0 high. 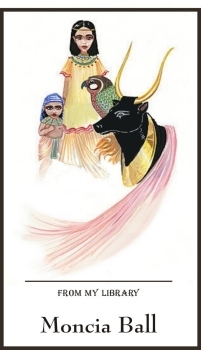 Content: Adorable drawing of an Egyptian child with the symbols of her religion and culture. We can personalize your bookplate (the font is BernhardMod BT) - just email us the name. Any questions, click here to email us. art by Freesurf69. Condition: NEW package of 12 bookplates made by pacaritambo books. The peel-off label stock is heavier than most bookplate materials and is matte and not glossy. They are as perfect as possible, and we feel the subject matter is much different than you can get anywhere else. 3.5 wide x 2.75 high. 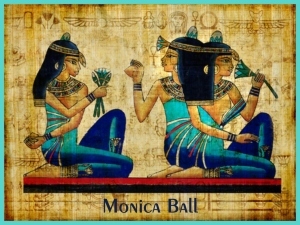 Content: This is a beautiful rendering of three Egyptian ladies in turquoise with lotus blossoms on an historically correct papyrus. Turquoise border. We can personalize your bookplate (the font is Exotc358DM Bd BT) - just email us the name. Any questions, click here to email us.